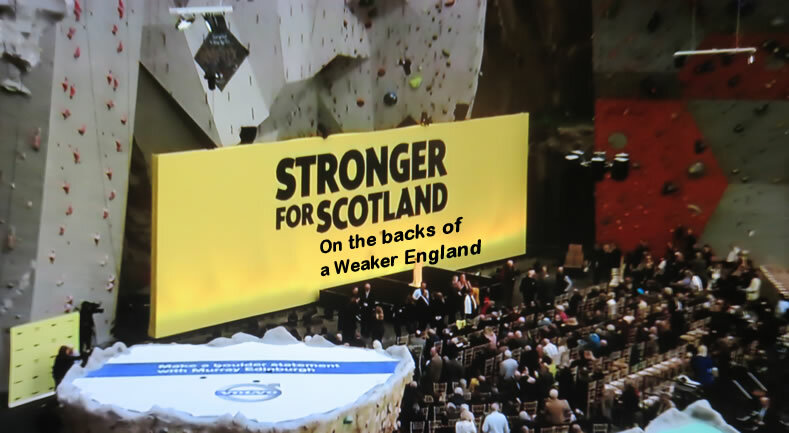 The Scottish Nationalists published their "Stronger for Scotland" on the backs of a Weaker England Manifesto that laid out how a defacto SNP dictatorship over England would operate by effectively sucking the financial blood out of a weak Labour minority English government before achieving Independence, especially given the fact that Scotland dodged a bullet last September for if they had voted for Independence then given the subsequent oil price crash, Scotland today would be just as bankrupt as Greece is. Scrap Trident whilst Russia saber rattles, holding defence spending to ransom if they do not get their way. The opinion pollster seats forecasts convert into a virtually neck and neck average of 276 for Conservatives 275 for Labour. The calculations for what form a coalition government could take become extremely complicated if not impossible without resorting to a disastrous outcome that involves the Scottish Nationalists i.e. 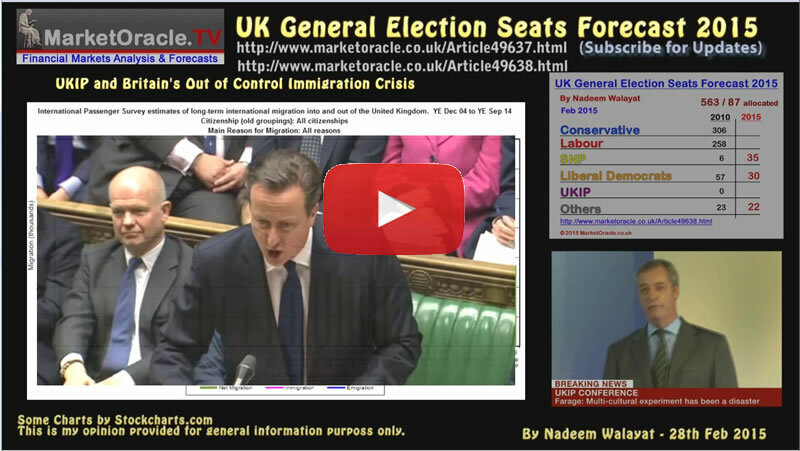 Keeps flip flopping between Labour and Conservative in the lead and no greater distance than 10 seats from 275. Have consistently exhibited a strong bias towards Labour which has been slowly eroding over time that has just now put the Conservatives marginally in the lead. Overall the opinion pollsters are currently trending marginally in favour of the Labour party which if the trend continues implies that Labour will just be the largest party on election day on about 280 seats against the Conservatives on about 270 seats which is contrary to my long standing forecast expectations for the Tories to lead on at least 296 seats. Another continuing point of difference is that pollsters continue to grossly over estimate the number of seats the SNP will win i.e. typically 48-55, against my expectations of just 35. My long standing conclusion is that the opinion polls remain wrong as they continue to persistently under estimate the number of seats I expect the Conservatives to win by a wide margin, who in my opinion could still even win an outright majority on May 7th. The obvious reason why is because come election day most people when faced with the stark choice of between gambling on Ed Milliband-Sturgeon Axis, will opt for a continuation of the steady as she goes Cameron-Clegg Coalition. So today when polled, voters without giving too much thought will usually lean towards an opposition party, but come actually marking ones cross on election day then more thought will go into that decision, especially when English voters consider the ramifications of the SNP dictatorship for the next five years, something that pollsters are FAILING to pickup upon i.e. English fears of an Labour-SNP government that will encourage many floating voters to turn to the Conservatives and Lib Dems. Thus the real suicide note published today was probably that of the SNP as many English voters will have listened on with growing concern of the hell that Sturgeon who is not even standing for parliament will wreck on England. 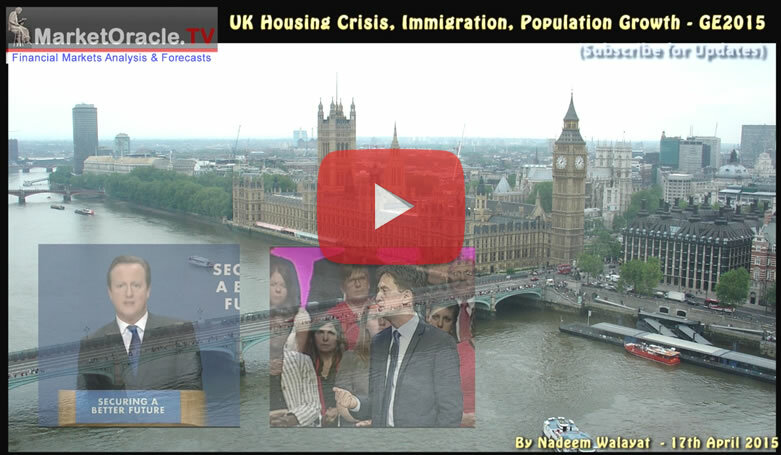 Also see my recent video analysis that explains the UK housing crisis. The bottom line is that the SNP high command may have mellowed their message in the run up to the election. However post election the SNP will ONLY act in the interests of Scotland, a defacto dictatorship imposed on England that not a single English voter will have voted for! This truly is a recipe for disaster as we may see a series of revolts amongst England's wage slaves in the awake of what would transpire. Though my consistent forecast is one of the SNP failing to win anywhere near the 55 seats that pollsters suggest, instead a Conservative led minority government is the most probable outcome.